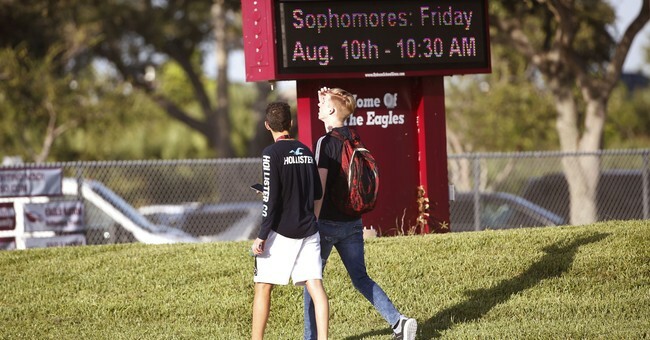 Earlier this month, the Sun-Sentinel published information about Parkland shooter Nikolas Cruz's education that a judge ordered to be redacted. The two reporters in question, Brittany Wallman and Paula McMahon, received a tip that the blacked out text could be seen online, so they published information about how school officials failed to coordinate Cruz's special education services. Broward County School Board officials wanted the paper to be held in contempt for publishing those unedited details. Broward Circuit Judge Elizabeth Scherer sided with the school district, noting that the reporters "manipulated" that document. Then, she went one step further, suggesting she has the power to restrict what the editors can write in the future. “From now on if I have to specifically write word for word exactly what you are and are not permitted to print – and I have to take the papers myself and redact them with a Sharpie … then I’ll do that,” she said. The paper defended their right to publish the information and were joined by a coalition of 30 media organizations in a court brief, including the Reporters Committee for Freedom of the Press, the Society of Professional Journalists, the New York Times, the Washington Post, CBS Broadcasting and CNN. Cruz killed 17 people and wounded 17 more at Marjory Stoneman Douglas High School this past Valentine's Day. He was indicted on 34 counts of premeditated murder and attempted murder. Andrew Pollack, whose daughter Meadow was killed in the shooting, sided with the Sun Sentinel.